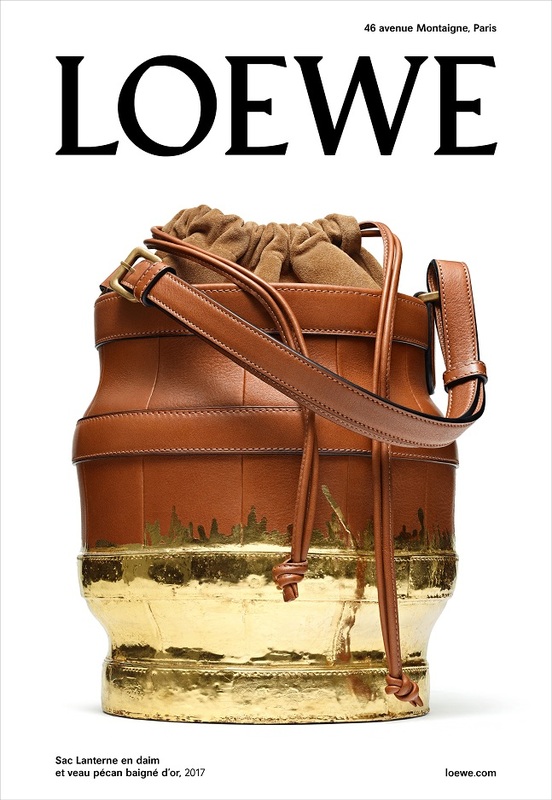 LOEWE AW2017 Men Advertising Campaign was unveiled during Men’s Fashion Week in Paris from 19 through 25 January on over 500 of the city’s dark green news kiosks. In one of the images, model Max Overshiner is photographed by Steven Meisel wearing a full black leather look in front of a suspended cloud-like structure made by M/M (Paris) from over 9,000 coal-coloured silk ribbons. 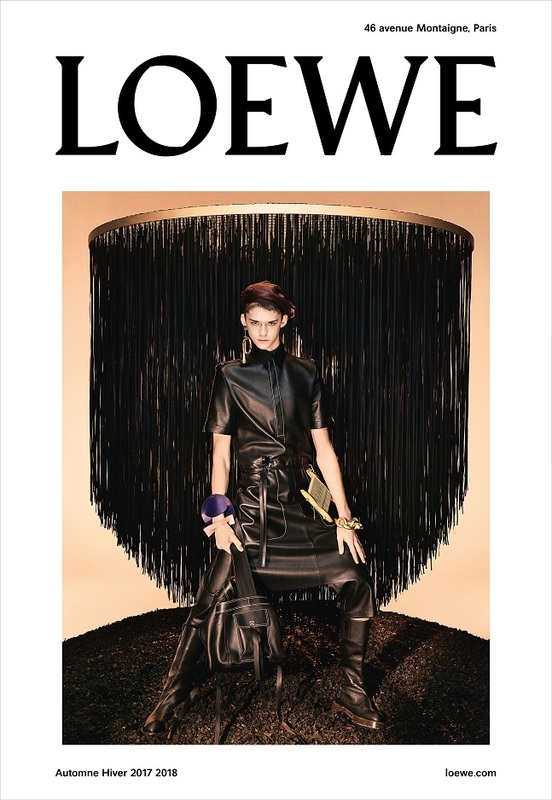 As in previous seasons, the selected images will also be on view on a billboard outside of LOEWE’s left bank atelier at 76, rue Bonaparte, facing St. Sulpice cathedral. Creative direction by Jonathan Anderson and M/M (Paris). The second image is a clear shot of the new bucket-shaped Lantern bag in tan calf, whose bottom part has been submerged in gold silicone paint to achieve a simultaneously precious and worn effect. A third image, a still life by Meisel titled ‘Flowers (December)’, continues LOEWE’s special collaboration with the photographer, depicting a vivid bouquet in a golden vase emerging from the dark. 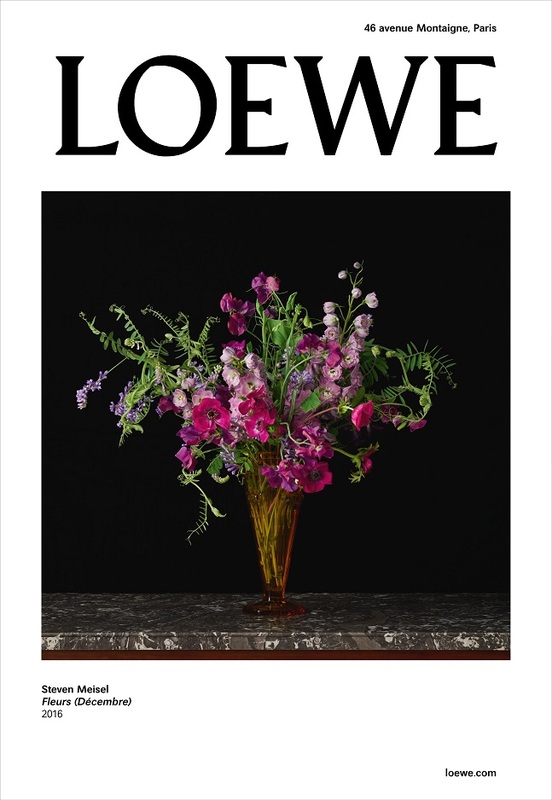 Taken from a series of 12 colour photographs inspired by Constance Spry - the British educator who revolutionised flower design in the mid-20th century - the image is included in a limited edition calendar available in select LOEWE stores and online.